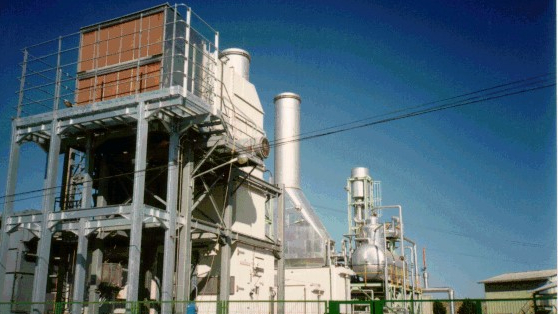 The trigeneration plant, designed in simple cycle configuration with a 10.3 MW gas turbine (on site), has a heat recovery steam generator (HRSG) designed for the production of 17 t/h of steam, a double effect absorption chiller for cold water production, with a maximum cold power of 1,500 kW, and a steam accumulation system with floating pressure between 8 and 23 bar(g). 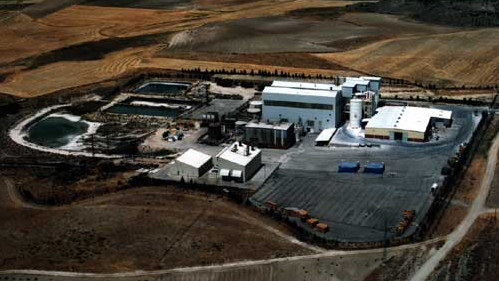 The steam accumulation system had a total volume of 100m3 and a useful volume of 80 m3 of saturated water that allows the production of 5.3 t/h additional in moments of peak demand. 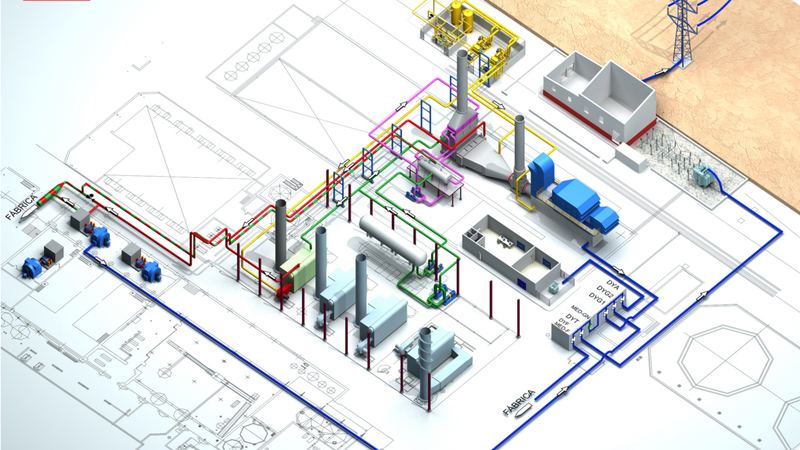 Installation of a cogeneration plant in simple cycle with a gas turbine and later conversion to combined cycle. 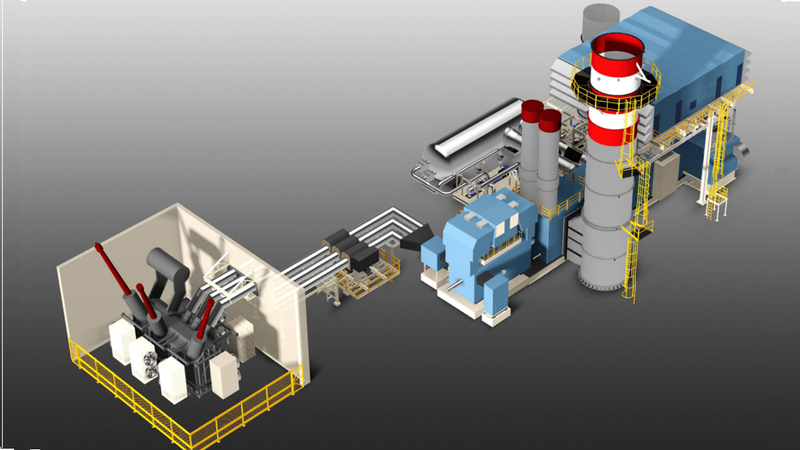 Cogeneration plant composed of three gas turbine-HRSG lines. 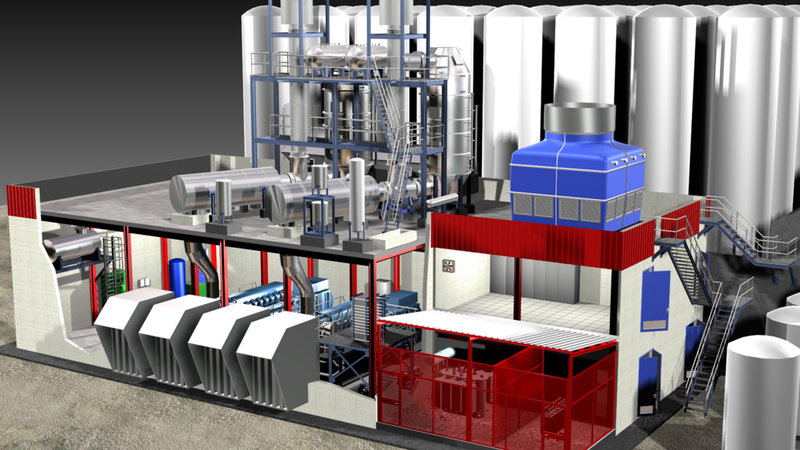 Self-supply cogeneration plant (title granted by the CRE) based on a 15.22 MW simple cycle with two gas engines.